Facebook today announced its plan to invest more than $1 billion in building its first data center in Asia. It will be located in Singapore and scheduled to open in 2022. Singapore's robust infrastructure and access to fiber, a talented local workforce, business-friendly environment, and a great set of community partners are some of the reasons for its choice of location. From the announcement: "The Singapore Data Center will join our portfolio of hyper-efficient facilities; it has been designed from the ground up with new features to minimize the use of water, energy and land. For example, this data center will be the first to incorporate the new StatePoint Liquid Cooling system. This technology minimizes water and power consumption and, according to our testing, can reduce the amount of peak water used by 20 percent in climates like Singapore's." 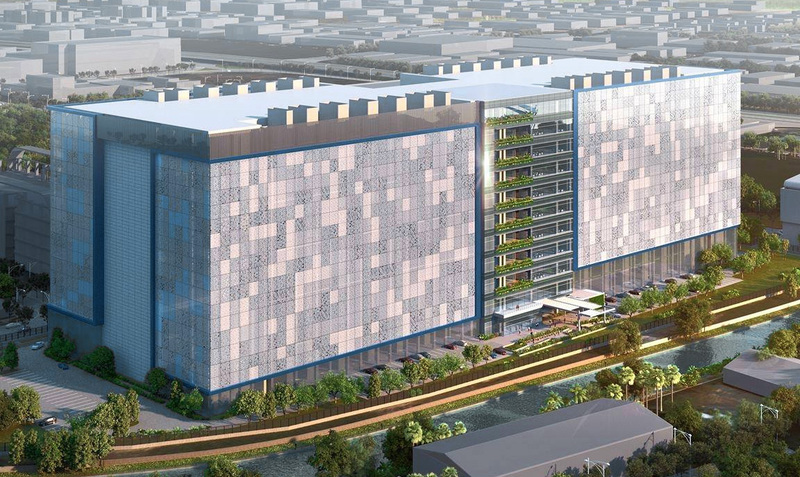 Home of the High-Rise Data Centers – "The key challenge in Singapore is land," writes Rich Miller reporting in Data Center Frontier. "The large parcels Facebook usually seeks to build its multi-building cloud campuses are largely unavailable in Singapore, an island nation where land is extremely expensive. The government of Singapore has been encouraging data center operators to build taller facilities. ... Google operates a five-story data center in Singapore, which is its tallest data center anywhere in the world. ... But none approach the 11-story design disclosed today by Facebook." Local Time: Friday, April 19, 2019 11:55 PM PDT – Page Load: 0.2464 Sec.